Fortuna knows how to rip the fun band-aid off. For 50 weeks a year, the friendly city keeps it low key as the Humboldtian small town America-standard bearer. Kids go to school. Parents go to work. Boats don't rock. Not much. But for two consecutive July weeks a year, Fortuna exhausts itself and cranks up the bustle. Last week, the Fortuna Rodeo packed 'em in and reminded residents why they installed those traffic lights. This week -- with the beasts of burden returned to their stables -- hobbyist motorhead garages far and wide will spew forth their chromed occupants. Engines start Friday with a participant only Cruise down Main Street and Fortuna Blvd. Get in the '50s/'60s spirit later that night and don your poodle skirt and bobby socks for the Sock Hop that takes place at the River Lodge from 8 p.m. to midnight. Saturday is the day to embrace your inner Leno. 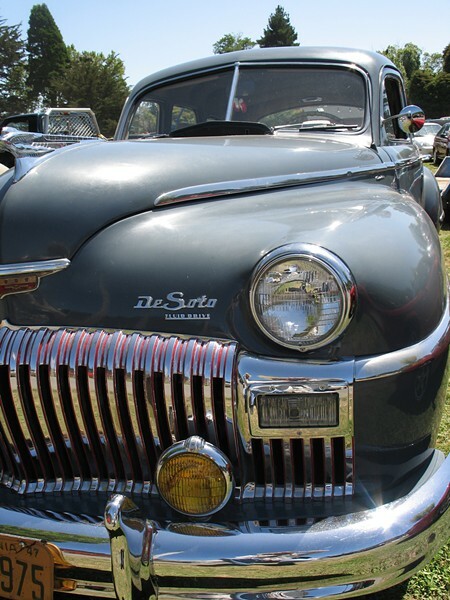 Main Street and Rohner Park will be jam-packed with classic cars and enthusiasts starting at 9 a.m. and running 'til 5 p.m. Other highlights include a tractor pull at 1 p.m., the always popular Poker Run at 5 p.m. and a barbecue in Rohner Park at 6:30 p.m. for participants. Trophies are handed out Sunday at 10 a.m. to the winners of Saturday’s judging, but spectators will want to be sure and check out the roadsters competing in the Burnout Contest at the Rodeo Grounds at 2 p.m. to get your yearly inhaled allotment of burned rubber. Enjoy your second straight weekend in sunny Fortuna. Check out redwoodautoxpo.com for full schedules and more.